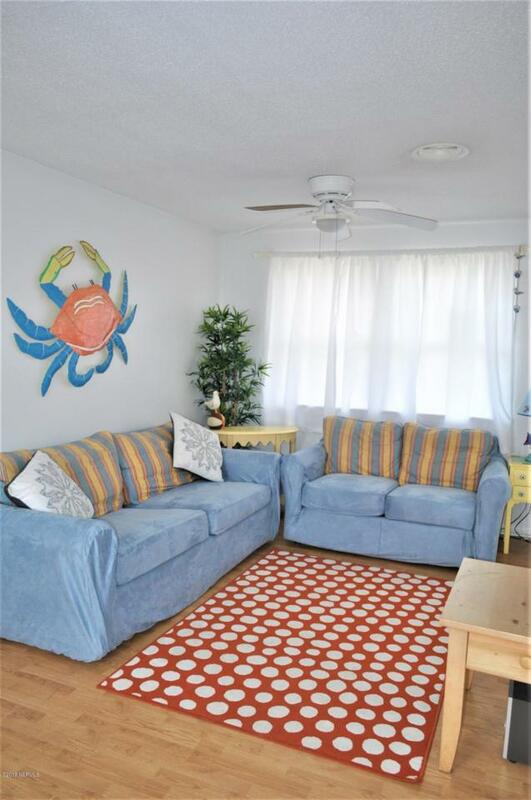 This charming 2 bedroom, 1 bath beach bungalow sits in a quiet part of Topsail Island, surrounded by family owned properties. It is 1 mile north of Surf City - convenient, but far enough away to avoid beach crowds, and on a stretch of the beach sought by fisherman in the Fall. 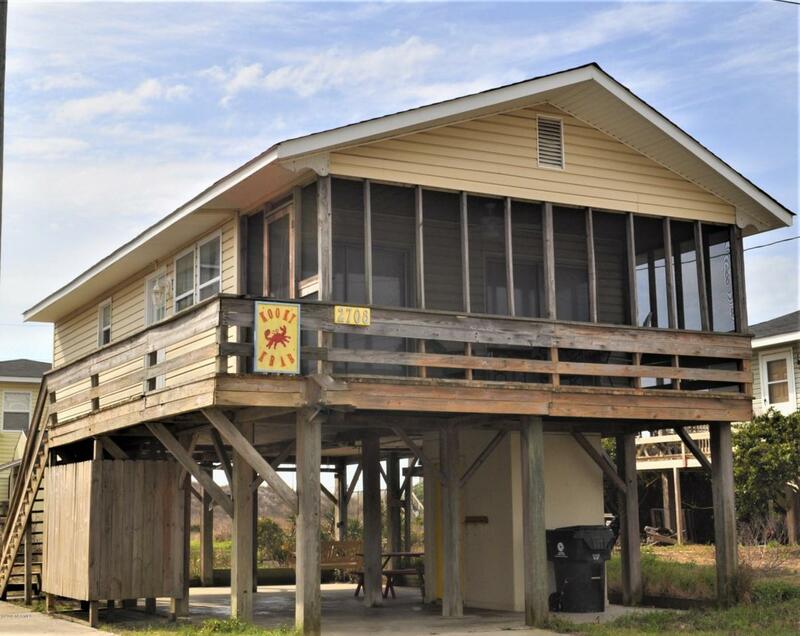 Enjoy the spacious screened porch or walk to the beach, only 250 feet from the bottom of the steps, with no busy streets to cross. No need for sandy floors - enjoy a hot shower in the roomy, private outdoor shower/change room after sun and surf. Beach-inspired decor. All furnishings stay. 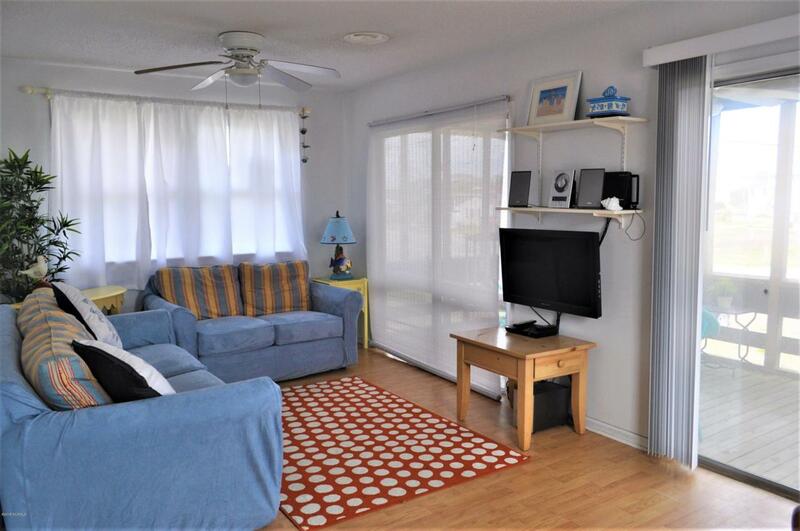 Well equipped kitchen and washer/dryer make the Kooky Krab rental ready; her proven rental history and positive renter feedback demonstrate continued rental income potential. Owners retiring and motivated to sell.New roof and HVAC in 2017. 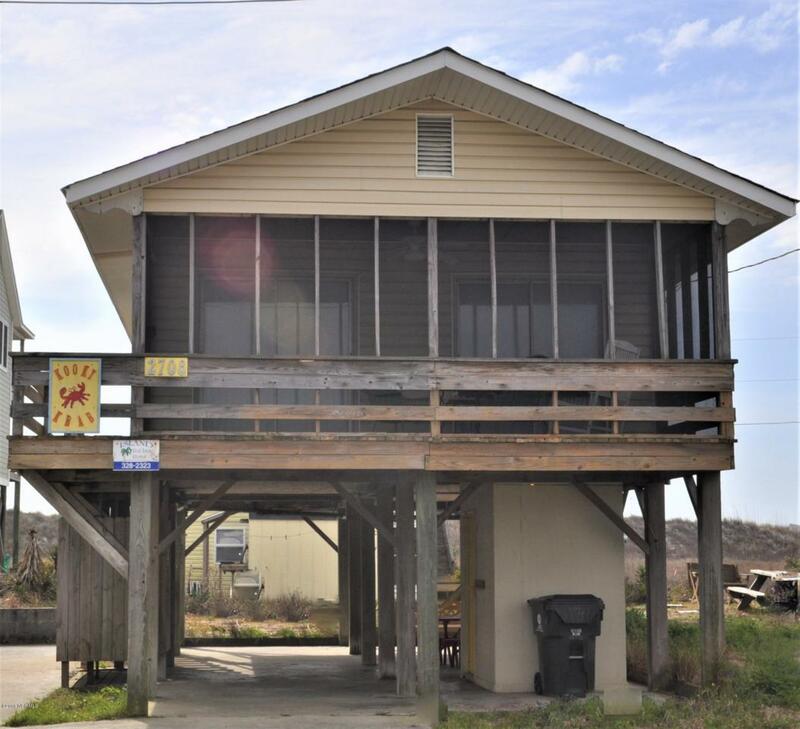 Have your own private beach cottage for less than the price of a condo with no association fees. Listing provided courtesy of Lisa Hall Norris of Island Real Estate, Inc..